The National Institutes of Health (NIH) own or financially support approximately 500 captive chimpanzees in the United States. These chimpanzees have been a part of an NIH funded breeding program since the 70’s for use in biomedical research and in 2012 the NIH started the process of officially retiring them from research. Their plan is to move all the retired chimps to the federal sanctuary system, with over half of them having been moved to the sanctuary so far. There are many driving forces behind this move; however, the main reasons seem to stem from various sources of misinformation being spread about these chimpanzees’ situation. An example of this misinformation comes from a recent blog post by Kitty Block, acting President and CEO of The Humane Society of the United States (HSUS) and President of Humane Society International – a source that should be credible but clearly has an agenda that is resulting in the collateral damage of the very chimpanzees the HSUS is intending to ‘protect’. Sounds fairly unbelievable that people want to keep former research chimps from their chance to live at a sanctuary; but of course it would sound unbelievable because Ms. Block failed to mention the true motivations of the “representatives of these institutions and a few allies.” As one of these allies we would like to point out, in detail, the most glaring omissions by Ms. Block. Chimpanzee deaths and stress. Ms. Block didn’t mention that when one of these centers, in Bastrop, TX, sent their first 13 chimpanzees to the sanctuary in 2014 and 2015, nine of them died within a year and a half. The staff at the Bastrop center were devastated by having to hear story after story about the deaths of the chimpanzees that they’ve known and loved for decades and it was all out of their control, happening 280 miles away. A key issue at play here is that this move is particularly challenging for these animals as many are older – some with failing health who cannot as easily adapt to the stress of these changes (Schapiro et al., 2012; Yamanashi et al., 2016). Once moved, these chimpanzees have to adapt to a new facility, new routine, new people, possibly new chimpanzee groupmates – new everything. The real story and a closer look at the “forest habitats.” Ms. Block didn’t mention that both the research center in Bastrop, TX and the sanctuary have large social groups and offer indoor/outdoor access with sunshine and grass, both have extensive enrichment and training programs (in fact the Bastrop center trained many of the sanctuary’s behavior staff), both offer daily bedding materials for nest making, and, in reality, the veterinary staff at the research center has more experience and resources than the sanctuary. So what are the true benefits of moving the chimps to the sanctuary? We could only come up with one: ‘habitats’. Chimp Haven has 3 large, forested enclosures for the chimps to use – called ‘habitats’ – which the research centers do not have. However, there are only 3 habitats at Chimp Haven so only 3 out of 23 groups (13%) get to use them at any one time. The remainder are in enclosures similar to those at the research facilities. While there are plans to build 3 more ‘habitats’ at Chimp Haven in the future, there are also plans to add 100+ more chimps in the coming months. Furthermore, a study done by Chimp Haven showed that the forested area is used only about 8% of the time (Yanagi, Fultz & Stephenson, 2016), meaning the chimpanzees are not using the area even when they have access to it. Why would chimpanzees not use the forested area? Most likely it is because, although the Chimp Haven ‘habitats’ are forested – they are not the same habitat type as wild chimpanzee habitats/forests, as is shown in the comparison figure below. Notice the abundance of horizontal branches in real chimpanzee habitats compared to Chimp Haven ‘habitats’. Because only 13% of groups get to use the ‘habitats’ and that 13% only use them for 8% of the time, it is unreasonable to force the Bastrop chimps to relocate for such negligible benefit. Especially when there are chimps at other facilities that would definitely benefit from a move to the sanctuary. In a recent NPR story, staff from a facility in San Antonio, TX that houses NIH-supported chimpanzees said that their chimps could benefit from a move to Chimp Haven since some are currently living in small groups. Yet the NIH won’t send NIH-supported chimpanzees before NIH-owned chimpanzees, even if the NIH-supported chimps could benefit and the NIH-owned will not. So then why relocate these chimpanzees when it is clearly not due to a welfare issue? This is where we think Ms. Block was on to something – money. Not in the way Ms. Block presented it: “The laboratories have a financial interest in holding on to the chimpanzees because they receive funding through government grants and contracts to care for them.” Rather, in the fact that the NIH can save money by sending the chimps to Chimp Haven. Per the CHIMP Act, the NIH only pays 75% of all operating costs at Chimp Haven and Chimp Haven has to make up the remainder in private donations. This is simply unacceptable – the government bred these chimpanzees and now is putting 25% of the cost of their care on Chimp Haven’s private donors. So, of course the NIH is pushing to send the chimps, deaths and stress aside, to Chimp Haven because they don’t want to fully pay for them anymore. The saddest part of all is that the chimps involved truly are collateral damage from the NIH’s greed and Ms. Block’s political agenda. They are spreading misinformation to the public about the chimpanzees’ current conditions and supporting a move that provides no substantial benefit. If they had the chimps’ best interest at heart they would support them staying at their current center in Bastrop and not uprooting them and endangering their lives. Matters are never black and white, there is always gray and there are always two sides. We certainly never thought we would be fighting to keep captive animals out of a sanctuary. However the chimpanzees at Bastrop are currently very well cared for with little discernable benefit to be gained from the move to a sanctuary, only increased risk. The relocation is stressful and dangerous, especially for older chimpanzees who may not be able to cope; and, once at the sanctuary, healthy chimpanzees could be at risk of contracting HIV or Hepatitis C due to poor management practices. Looking at these facts, you can’t help but come to the conclusion that these chimpanzees should stay in their current home in Bastrop, where they are safe and loved and already receiving the highest level of care. 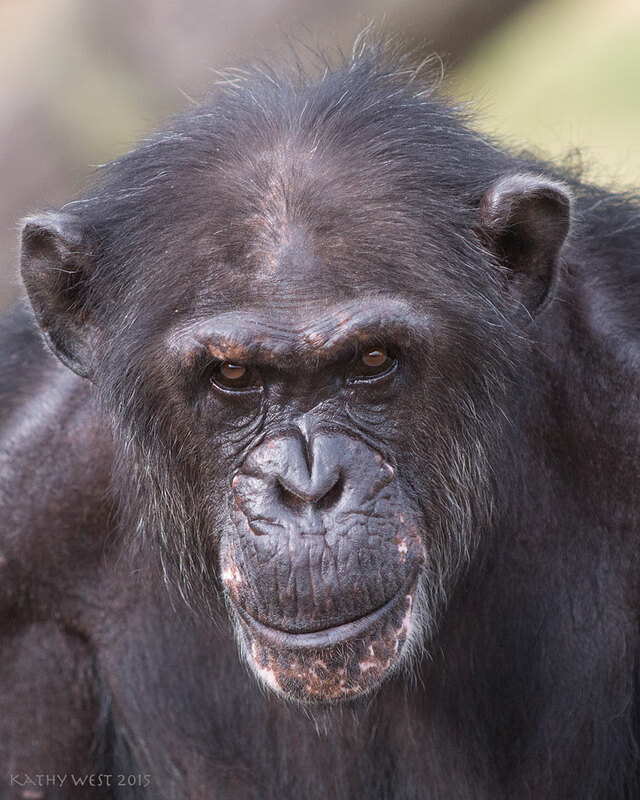 These chimps should be allowed to retire in place, in their home, so that they can live out their remaining years in peace, without the stress of moving, without the risk of disease, and not as pawns of the NIH and the HSUS. *SAVE THE BASTROP CHIMPS Facebook Page is not affiliated in any way with the Bastrop facility and is run by allies of the chimps. All the posts and statements on this page are personal beliefs and do not officially represent the views and beliefs of the National Center for Chimpanzee Care, the Keeling Center, or UT MD Anderson. People that share any posts from this page or the page itself are also sharing their personal beliefs and are not representing the beliefs of the NCCC, the Keeling Center, or UT MD Anderson. 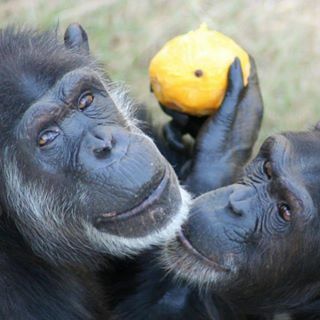 Editors’ note: Speaking of Research is troubled to hear questions about Chimp Haven management decisions to house chimpanzees with infectious disease (HIV, Hepatitis C) together with healthy, uninfected chimpanzees. We believe that the chimpanzees’ medical, transfer, and housing records can address this question and that the sending facilities, NIH, and Chimp Haven should be able to publicly provide information to answer the animal health and welfare concern. Posted on November 14, 2018 November 14, 2018 by EditorPosted in News, Science NewsTagged animals research, Chimp Haven, Chimpanzee, Humane Society United States, NIH, sanctuary, Save the Bastrop Chimps. Previous Previous post: Research Roundup: Cigarette smoking at an all time low, Human infants and chimpanzees laugh in a similar manner and more! Next Next post: Research Roundup: VA to continue dog research, Zika infection and Dengue risk, exercise reduced drug cravings, and more!